It’s my mum’s birthday today and I wanted to make her something as part of her presents. 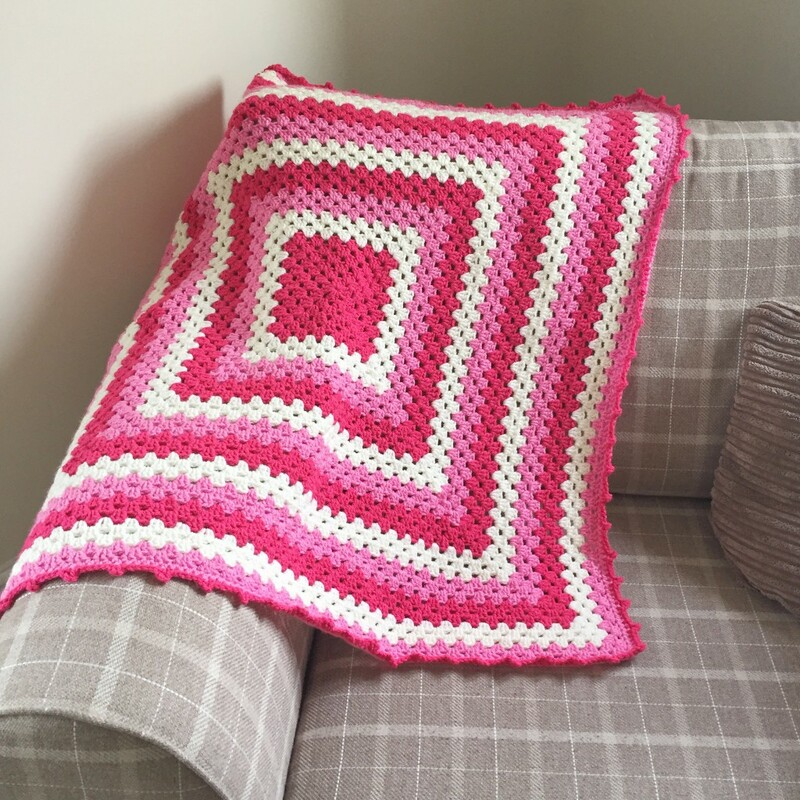 I decided on a granny square blanket as she has two really old worn ones on her sofas at the moment. I went for one huge granny square as I needed something that would be fast to work up as I didn’t have much time. I used Stylecraft Special Aran yarn in cream, fondant and pomegranate. I used two 100g balls of each colour. 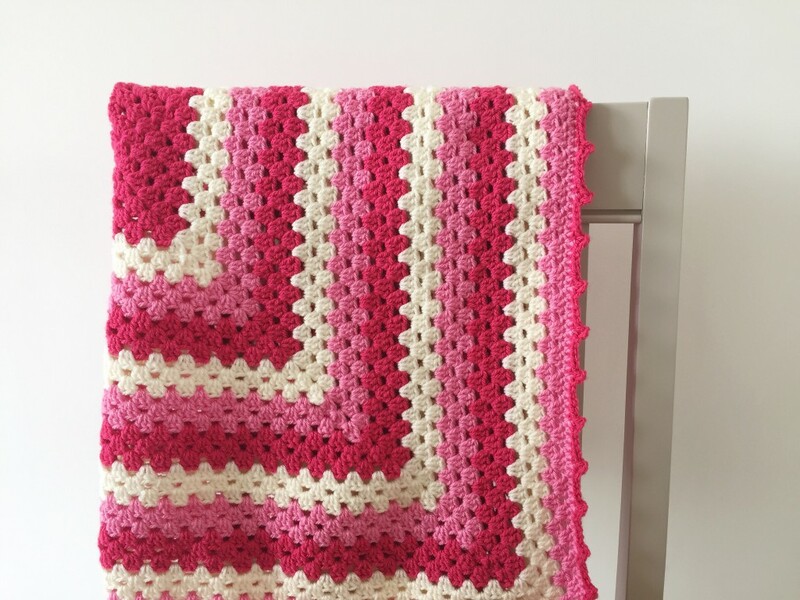 This was really easy to do and I followed this granny square blanket pattern on Ravelry. My mum’s favourite colour is bright pink so I had to use those shades and I think it will go well with her sofas. Next time I’d probably buy 3 balls of the third colour used as I nearly ran out. As it is I only did two rounds of the granny square pattern before doing htr all around. I also used bright pink for my picot edging as I was pretty much out of cream. It came out at 33 inches which is perfect for a lap blanket. I really hope she likes it. This is one of the easiest projects I’ve done. If you’d like to see others you can view my Ravelry portfolio. 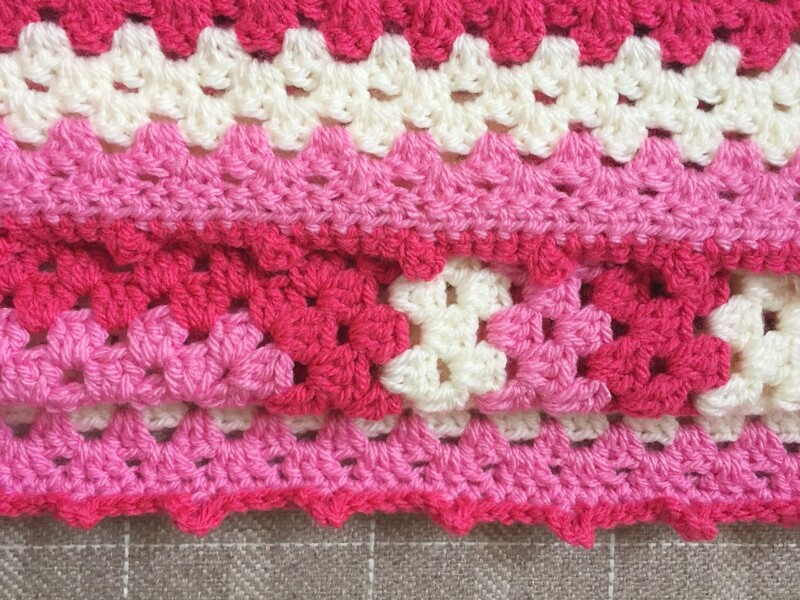 Do you like crochet or knitting? If so, I’d definitely recommend Ravelry for lots of free patterns and a really helpful forum for when you get stuck or want to chat.